STMicroelectronics, Europe’s biggest chip maker, now plans to exit the ST-Ericsson mobile chip joint venture with Ericsson. ST-Ericsson has been losing money for a couple of years now, taking a big hit after its biggest customer, Nokia, decided to switch to Windows Phone and Qualcomm chips. STMicroelectronics on its part is looking to cut costs and better compete with higher-margin US and Asian rivals like Qualcomm and Texas Instruments. Swedish Ericsson however also is not likely to be willing to single-handedly takeover the JV that registered an $841 million loss last year. 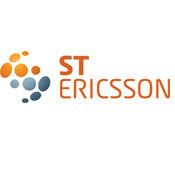 Analysts don’t write off the possibility of ST-Ericsson, a JV employing more than 5,000 people to get shut down completely and sold to the likes of Intel and Broadcom. "I think it is going to be a complex deal including some reallocation of employees to Ericsson, and the sale of the wireless modem business to a competitor, and some layoffs," semiconductor analyst Jerome Ramel of Exane BNP Paribas said. STMicro shares went up on the announcement which is seen to be good for its business. This can be a trouble to jolla. Lets not forget Sony dropped them too.. They have a LOT of ground to make up if they don't want to go bankrupt. I'm certain a version of the a9600 with integrated LTE was going to be the best chip next year overall. I hope Sony buy them out of this mess. i was actually looking forward for STericsson WP from nokia coz before nokia or STEricsson promise that they will bring a nova thor powered WP on the market... http://www.engadget.com/2011/11/02/st-ericssons-novathor-to-power-nokias-windows-phone-devices-l/ to make it cheaper and cheap dual core!